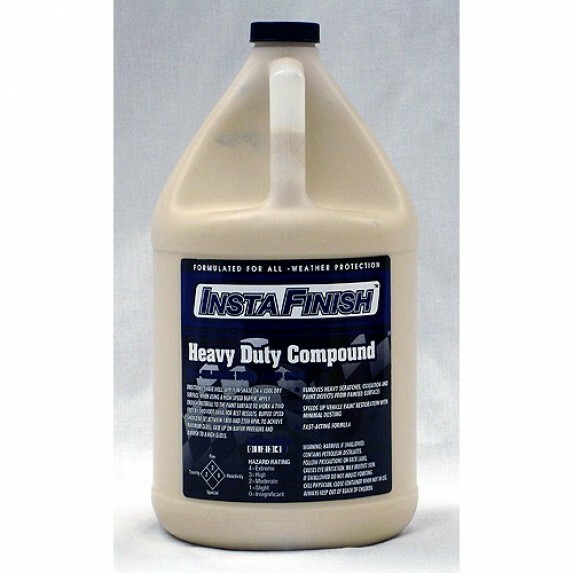 This compound features a fast, aggressive cut for machine use on acrylic lacquer, enamels and high solid urethane paints to level orange peel and remove 800-1000# wet sand scratches, blemishes, cobwebs, heavy oxidation, water spots and more. water soluble formula cleans up easy. Leaves a smooth, clean surface, ready for light compounding or machine glazing. Recommended for machine use only. CONTAINS NO WAX OR SILICONE. BODY SHOP SAFE.